Mundosparalelos Information Dance Pole Looking to the future. So 2011 is now here and we have entered a new decade too, this year is not only a big year for me but also looks set to be a great year for the Pole Dance Community, the art of dance and the entire pole fitness industry. With the future looking bright for me I wanted to blog about those with less to look forward to and decided to blog again about the fabulous Fresh air fund operated in the states to give under-privileged children the chance to enjoy the simple, yet most important, things in life; Fresh air, open space and a caring environment. As our population grows at an alarming rate the chances for the kids of the future to truly enjoy the outdoors will slowly diminish. Click here to read Roger Pepper's brilliant recent article on population growth which describes the problem far better than my words could manage, it is a must read. As the population expands more and more kids are trapped in over-populated suburbs with little chance of getting a good education or job, even in the UK we see more and more kids stuck in their bedrooms watching computer games rather than getting opportunities to integrate with the outdoors. 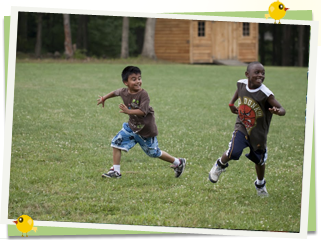 For these kids they often experience poor diet and poor health as a result of lack of exercise and stimulation. So what can you do to help? Why not start the new year with a really good deed and donate to the Fresh Air Fund or find another project or charity that you an either donate to even volunteer for. The Fresh Air Fund, an independent, not-for-profit agency, has provided free summer vacations to more than 1.7 million New York City children from low-income communities since 1877. Thanks to host families who open up their homes for up to two weeks each summer, children growing up in New York City’s toughest neighbourhoods have experienced the joys of Fresh Air vacations. 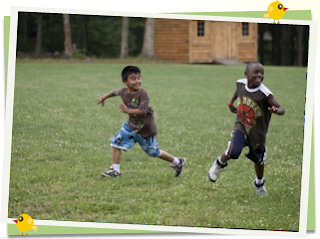 Fresh Air children are boys and girls, six to 12 years old, who reside in low-income communities in New York City and are eager to experience the simple pleasures of life outside the city. More than 65% of all children are re invited to stay with their host family, year after year. The summer of 2010 was amazingly successful thanks to the generous support from all of The Fresh Air Fund volunteers and donors. With your help, next summer will be wonderful too. I hope that you can find the time to really start 2011 with a positive step towards making the world just a little bit brighter for those with little hope. However small your efforts they will still make a difference. I am of to Women's refuge this week to donate some items that they desperately need, such as bedding and towels, and I have a few charity events coming up in the next few months too. Perhaps even those CEO's, EuroMP', MP's and bankers will find a way to see the error of their way and give something back rather than merely basking in greed but I won't hold my breath on that one for the moment. I wish you all a fabulous, prosperous and happy 2011 and remember it is the little things that count.